Beach Front Surf Camp - Ahangamma, Ahangamma Note globale des clients: ★★★★★ 5 basé sur 3 avis. Come and learn to surf or improve your game with us at the original Surf camp Sri Lanka. Established in 2004 we are the only Surf camp/School in the area that is directly in front of the waves you will be surfing on, no loading boards, no driving no hassle. 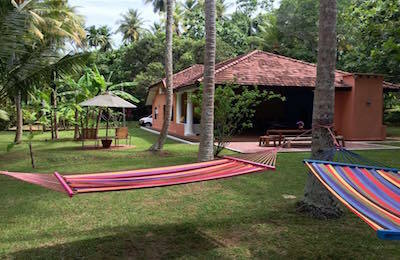 Kottegoda Surf House - Matara, Sri Lanka Note globale des clients: ★★★★★ 5 basé sur 1 avis. Tucked away on the most beautiful beach of the South Coast is our little serene tropical hideaway. Beach House will relax your body, revive your soul and leave you feeling refreshed and renewed. We welcome you to our little Sri Lanka jewel nestled in the shady sway of 200 coconut palm. 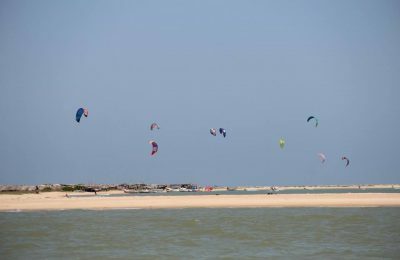 Kalpitiya Island Kitesurf Hotel - Puttalam, North Western Note globale des clients: ★★★★★ 5 basé sur 6 avis. A stunning flat water lagoon, wind-proof during two seasons: from May until October and from December until March. Super friendly people on-the-spot and a stunning landscape. Massive flat water lagoon with numerous “glassy“ freestyle Spots, delicious and exotic food. Accommodation in local-made, rustic and beautiful chalets. Wind guaranteed, more space than you can imagine and no obstacles turn this spot into something perfect. Can it get any better than this? Boutique Yoga & Surf Camp - Ahangama, Southern Province Note globale des clients: ★★★★★ 5 basé sur 4 avis. Find your flow surfing, practising yoga, relaxing with art therapy, enjoying music and writing poetry. Our goal is to deliver an unforgettable experience for you. whether this may be surfing that perfect wave, transforming your yoga practice or forging new friendships. We aim to achieve this in a luxury, affordable setting that is both socially and environmentally sustainable. 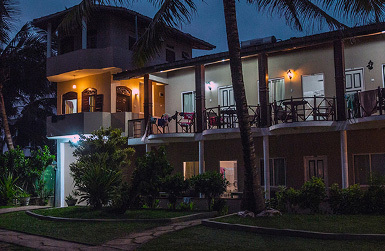 Arugamaby Surf Resort - Panama, Eastern Province Note globale des clients: ☆☆☆☆☆ 0 basé sur 0 avis. 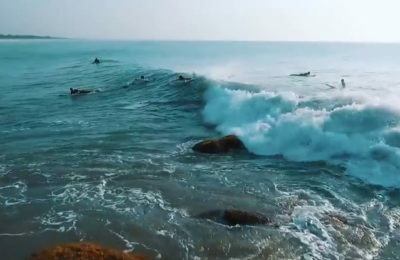 The world famous Best Surfing Place of South Asia, awaits you to experience its best wave break. Explore the beautiful east coast of Sri Lanka while staying at our modern house beach resort at a panoramic location. Single, Shared Double Rooms and Family rooms are available with Attached Bathrooms, Hot Water, A/C, Fan, TV, Free WiFi and a Private Parking Area while our Restaurant provides Delicious Sri Lnakan and Western Foods. A Great Surfing experience is Guaranteed with Lots of Other Unforgettable Activities all over the nature blessed city of Arugambay. Ahangama Surf Camp - Ahangama, Southern Province Note globale des clients: ★★★★★ 5 basé sur 5 avis.